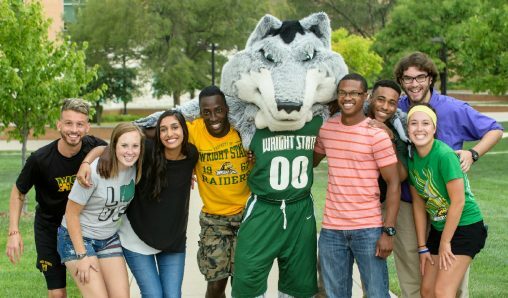 Raider Open House on Friday, Aug. 3, gives prospective undergraduate students and their families a glimpse of all that Wright State University has to offer. Future Raiders will learn about the many majors, financial aid, housing, student life and more. 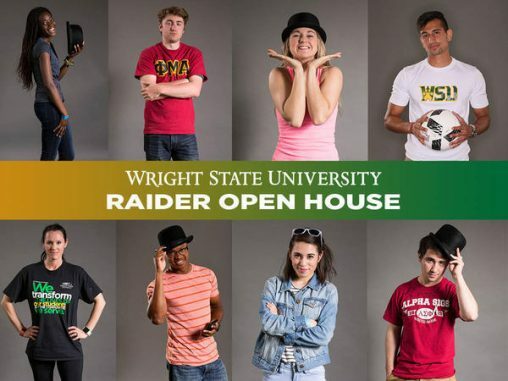 Raider Open House, held from 9 a.m. to 12:30 p.m., begins in the Student Union. Breakout sessions will provide in-depth information about academic colleges and departments, the University Honors Program and transferring to Wright State. Some sessions include academic building tours, project demonstrations or other interactive activities. Students can even talk one-on-one with faculty members about their academic goals and interests. “Your Raider Experience: A Guide to Admissions, Financial Aid and Scholarships” will be offered several times so everyone has an opportunity to attend. Staff will share important information about how to apply for admission, scholarships and financial aid, while highlighting key dates and deadlines. Attendees also can explore the beautiful campus and housing through the eyes of their tour guide, a current Wright State student. Sessions and tours will be offered at various times during the open house to allow people to personalize their experience and learn more about the topics that interest them most. Plus, attendees can enjoy one-on-one conversations with faculty, staff and students from academic colleges and student services at the Resource Fair. WHEN: Friday, Aug. 3, 9 a.m. to 12:30 p.m.